I am creative and love making things, but when it comes to trying to use the computer to create something, I am totally lost! Give me paper, scissors and a glue gun, but a keyboard and screen…that’s why God gave me Tami. I can call up Tami and tell her I need Bible verses printed out for a VBS craft (which I really did) and she is on it. I can ask her to make labels for the latest baby shower (totally have done!) and she’s got me covered. 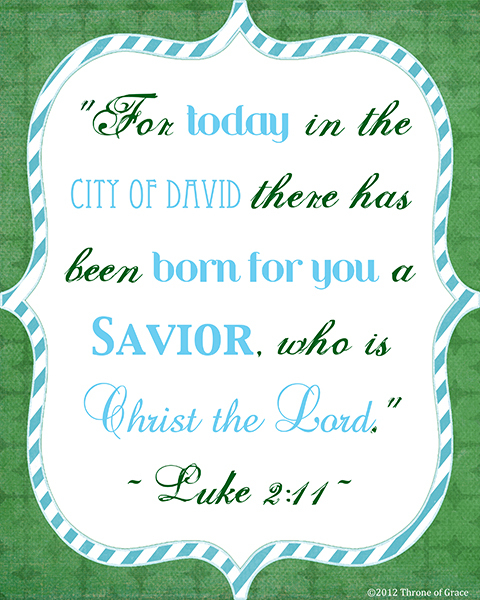 So when I wanted some Christmas printables for my home, I knew just who to call! We posted one of Tami’s beautiful prints last week and here is another one today! Woo hoo! 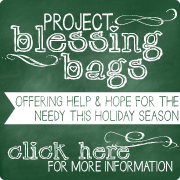 I thought I would show how I am planning on using them in my home this Christmas Season. First, let me start off by saying that I am still getting the hang of putting together tutorials. I may have forgotten to take some key photos along the way and hopefully my directions will make sense. 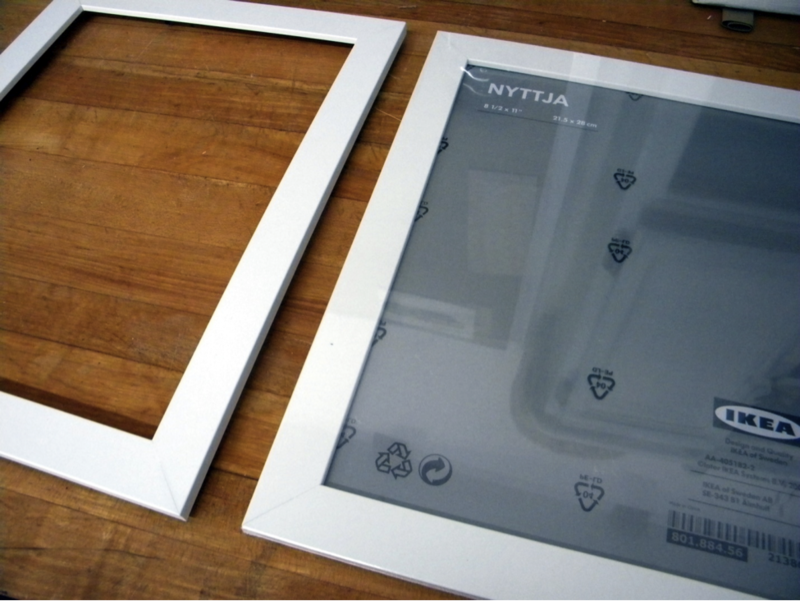 First I purchased 2 frames from Ikea for $2 each. I decided to create 2 different frames for the prints. The first frame took hardly 3 minutes. Super simple! I promise. 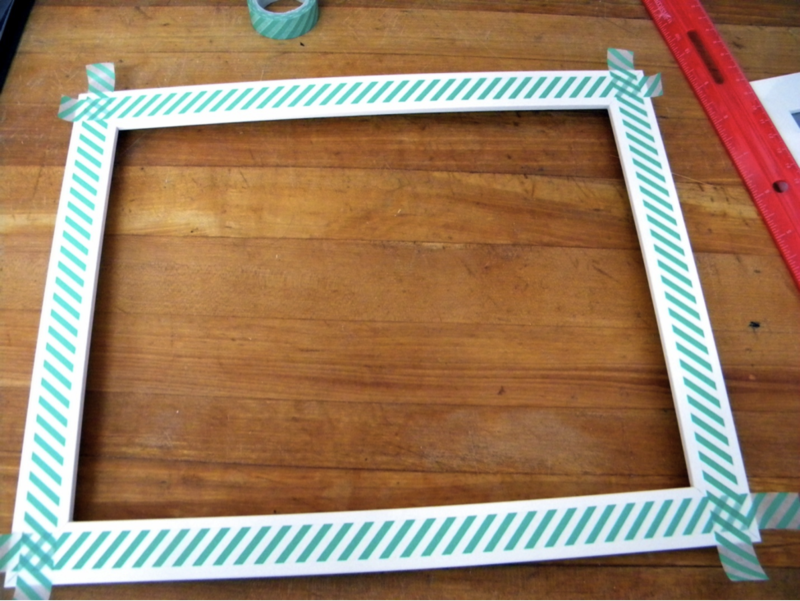 I had some green and white washi tape in my craft stash and just ran it along the middle of each side of the frame. Washi tape is available tons of places…even Target carries it in the office supply area! 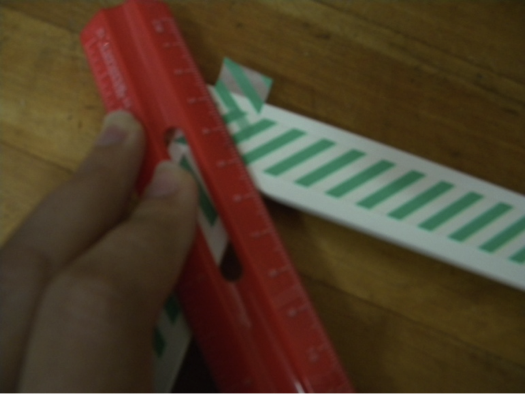 To get a cleanly cut corner, overlap the tape and then use a ruler and Exacto knife to cut through each piece of tape. 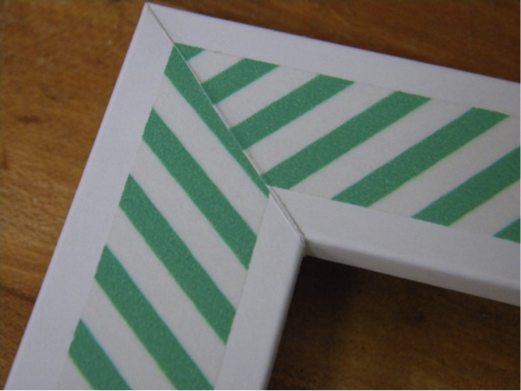 Remove excess tape from both pieces and your tape will meet perfectly. Insert print and you are done! 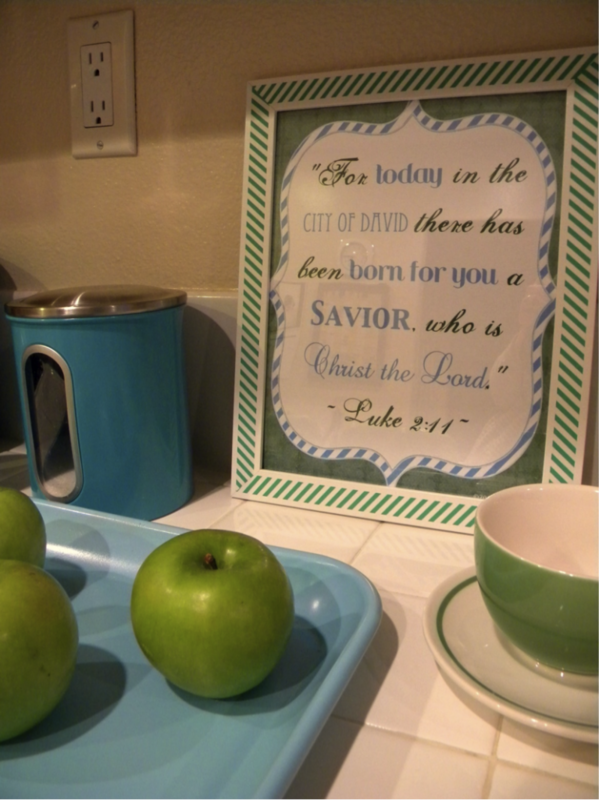 I love the blue and green colors that go nicely in my kitchen…and the stipes make me giddy! Love! The second frame took a little more time and I admit, I kind of made it up as I went along! First I lightly sanded the frame. 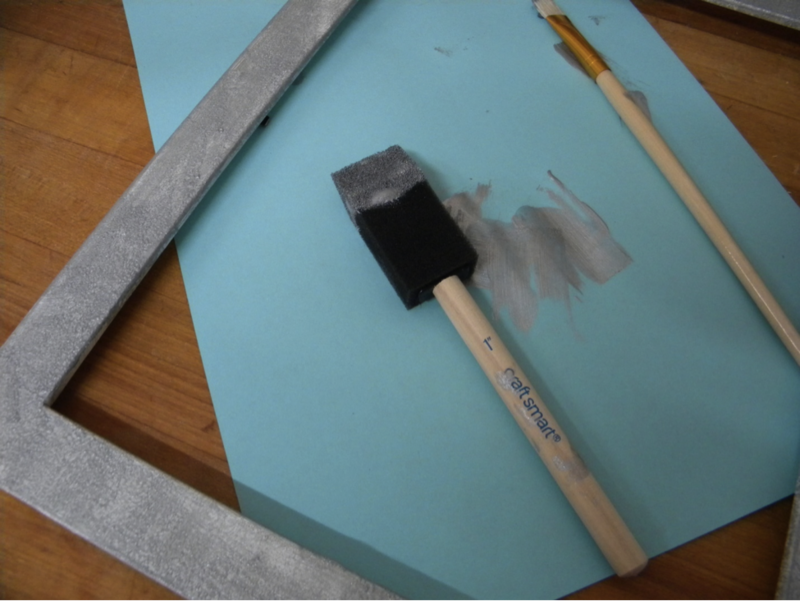 I then used a sponge brush and painted on some silver acrylic craft paint. At this point I was a little stumped until I found this ribbon I bought recently from Hobby Lobby—it was the perfect width for the frame. I liked the contrast of the fancier silver finish with the rustic look of the burlap. 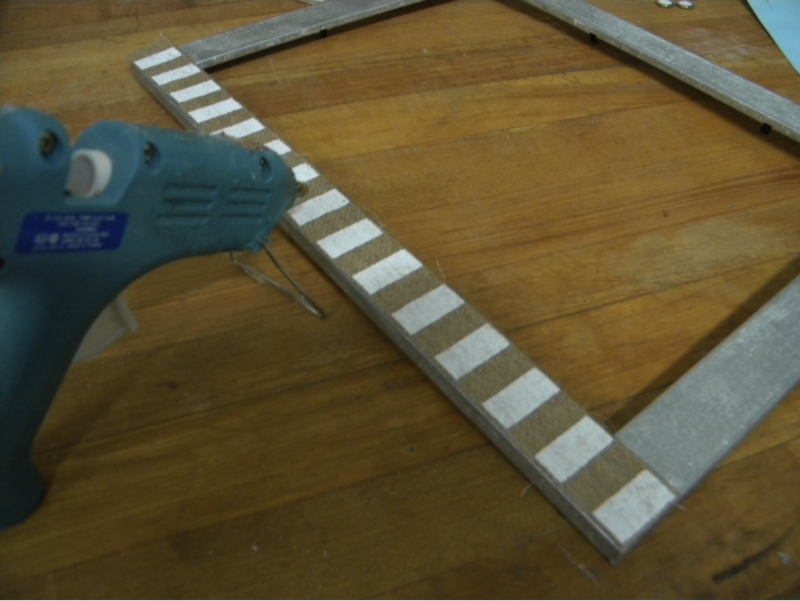 I used my glue gun to adhere the ribbon to the frame. 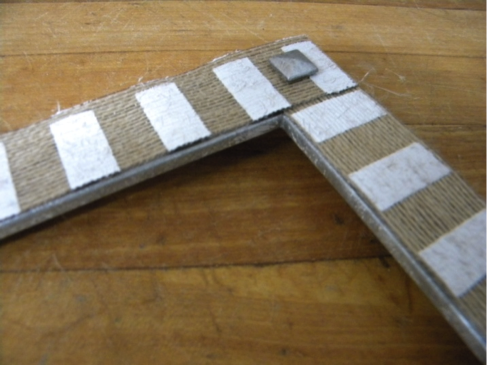 I wanted to finish off the corners and found these self-adhesive metal pieces, but they were gold. No problem! 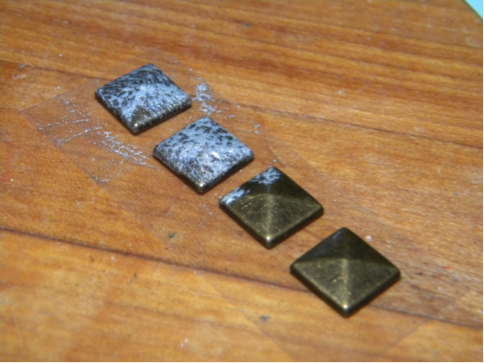 I just dabbed on some of the silver paint (2 coats) and they were perfect. Again, pop the print in the frame and you’re done! Both framed prints cost just a couple dollars to put together and I think they are fun additions to our home. So far this is all the Christmas decorating I’ve done, but I think I am headed in the right direction. Thanks, Tami for creating these prints that remind me of Who the season is truly about! 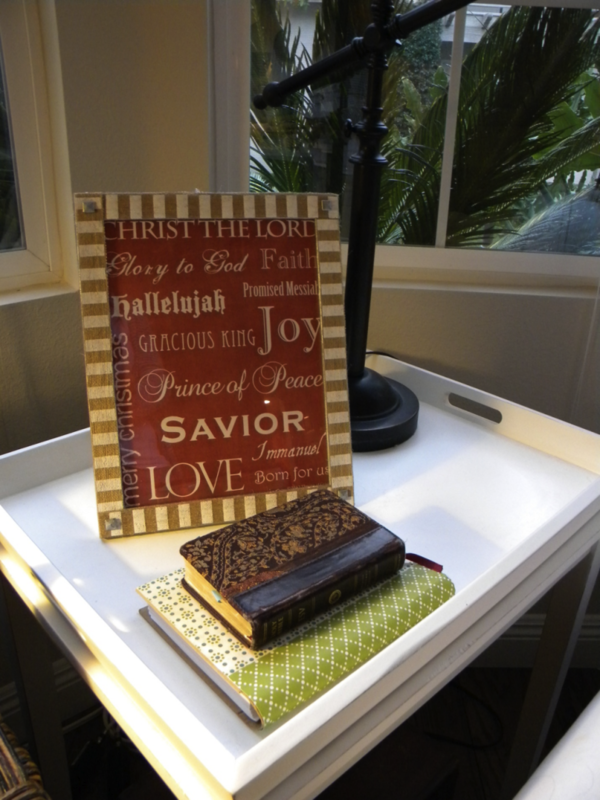 How do you decorate your home to keep the focus on Jesus’ birth? I would love to hear your ideas! Oh my gosh, Deb! Those are amazing! You and Tami make a great team!!! You made this look so easy, but the final products are gorgeous! Thanks for sharing! You did a beautiful job with the frames!! I love them! !